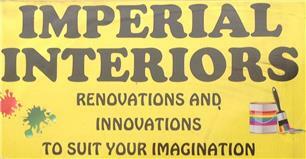 Hi my name is Gary Cheesman my company is Imperial Interiors and it has been running for over 20 years. Imperial Interiors pride themselves in offering a high standard of work at very competitive prices. Most of our work is from recommendation via previous works.